On June 2nd 2015 we had an excellent afternoon's meeting at Geoff's. 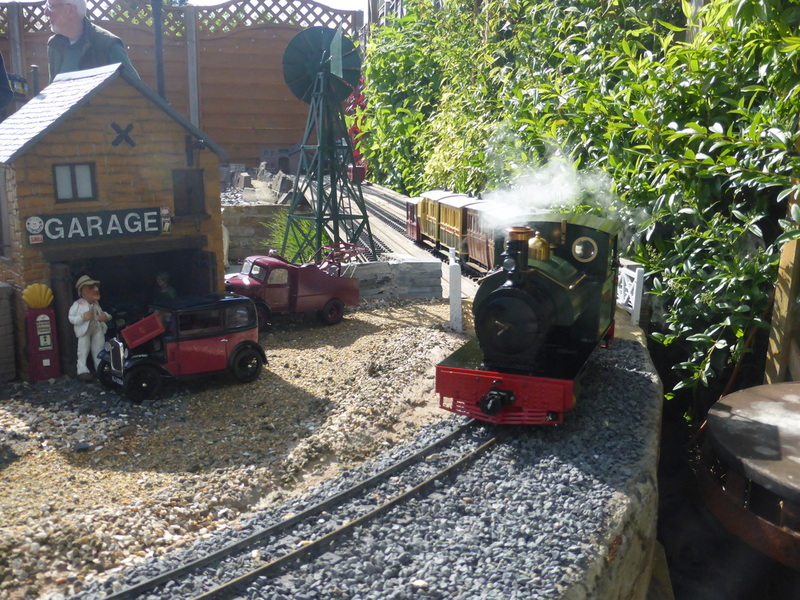 The weather was excellent and there were several steam and electric engines in action. 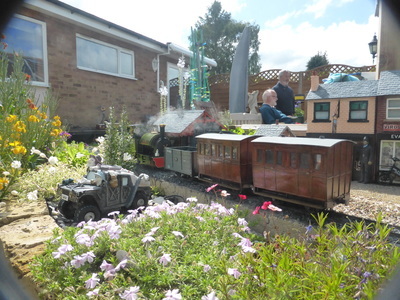 On 7th July we had an afternoon at Keith's. 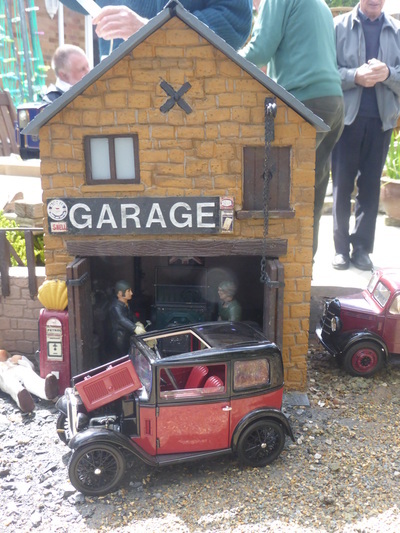 The weather was fine and a great time was had by all. 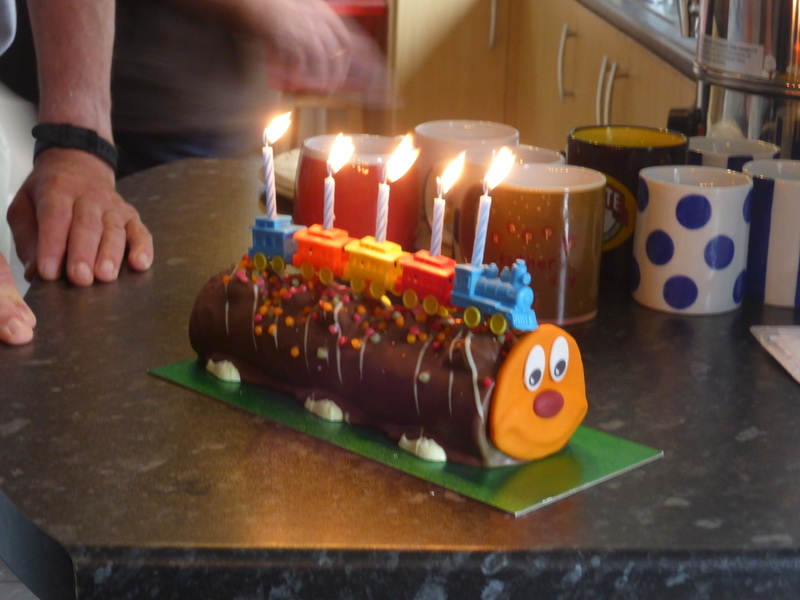 On the 4th of August we had our 5th birthday at Pete's. 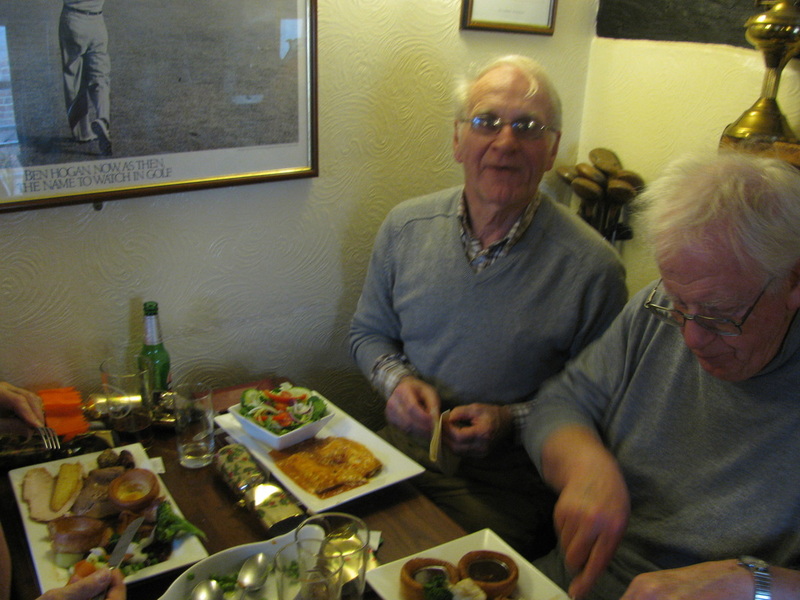 Again we were blessed with reasonable weather and a scrumptious cake supplied by Geoff. 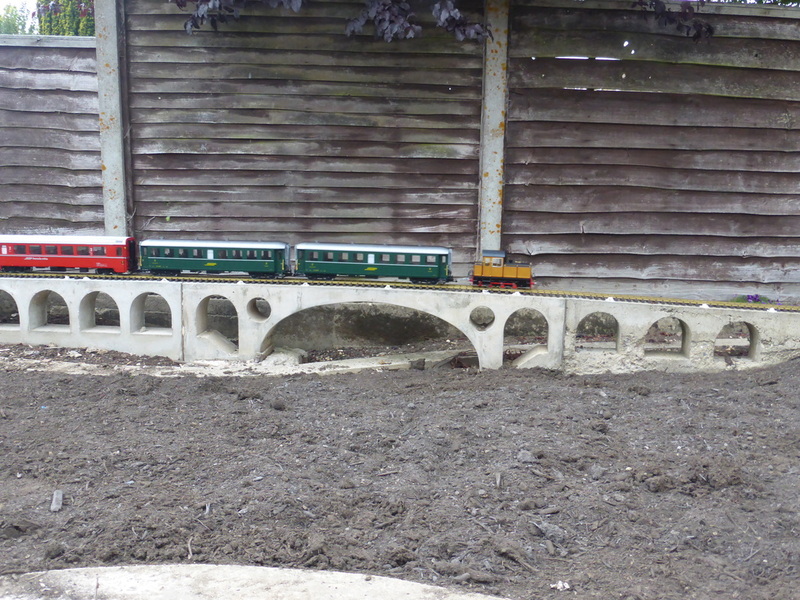 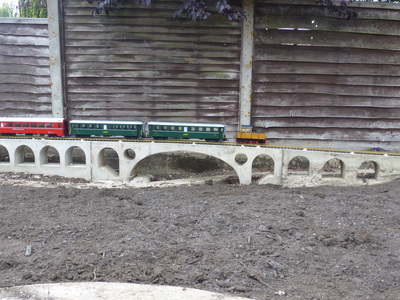 Pete is making slow progress but at least the concrete mixer has been removed from the centre of the layout so trains can be viewed all the way round. 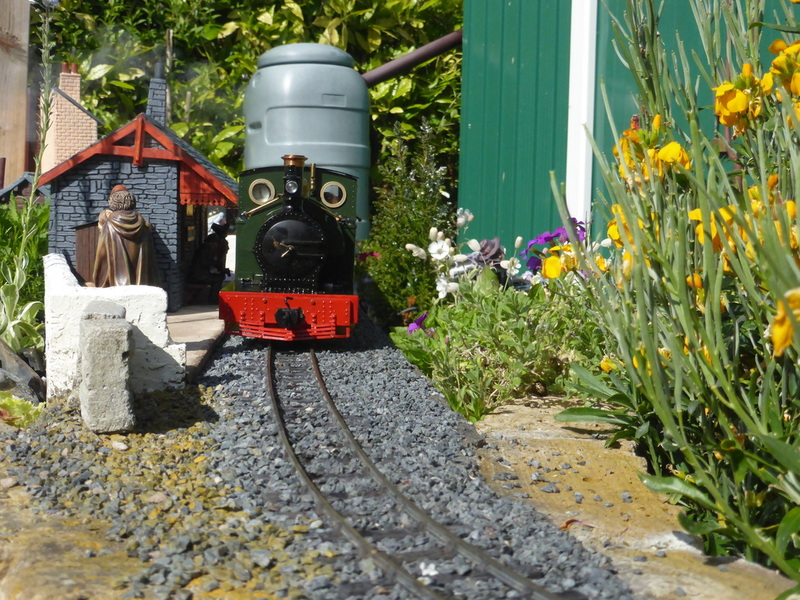 And now some further notes from our glorious leader Geoff!! 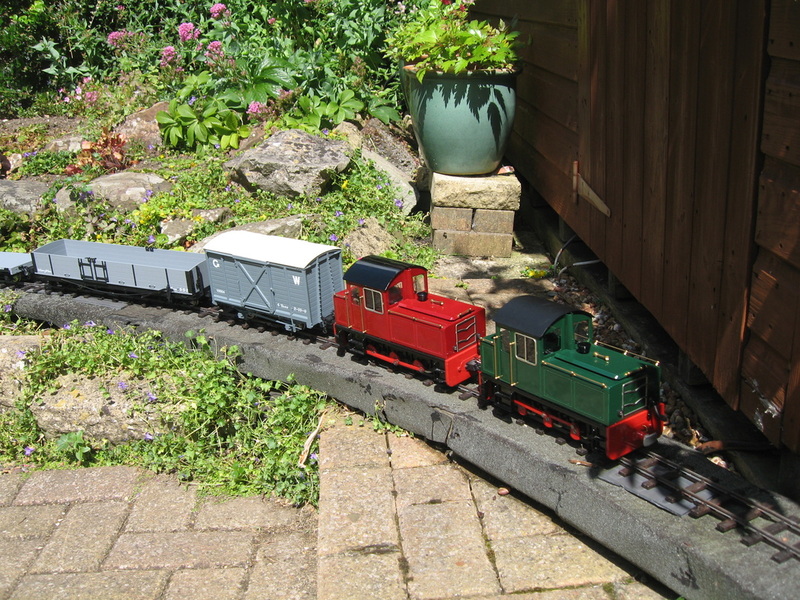 RAILWAY MODELLERS GROUP CELEBRATES 5TH ANNIVERSARY! The modellers group was floated in July 2010 with 7 names on the first list. 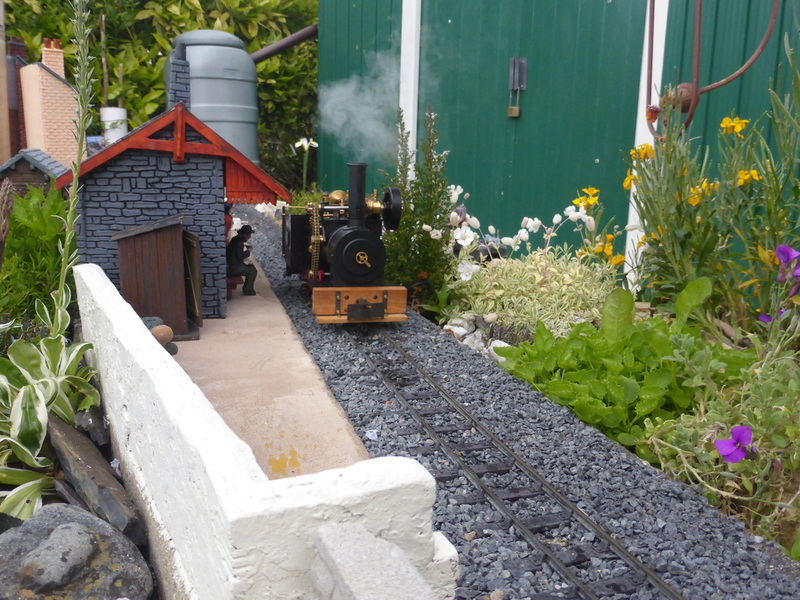 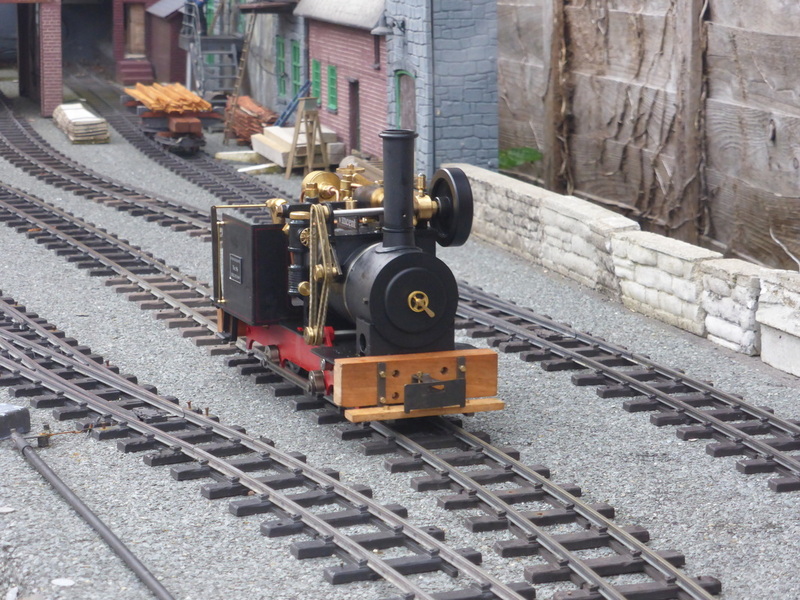 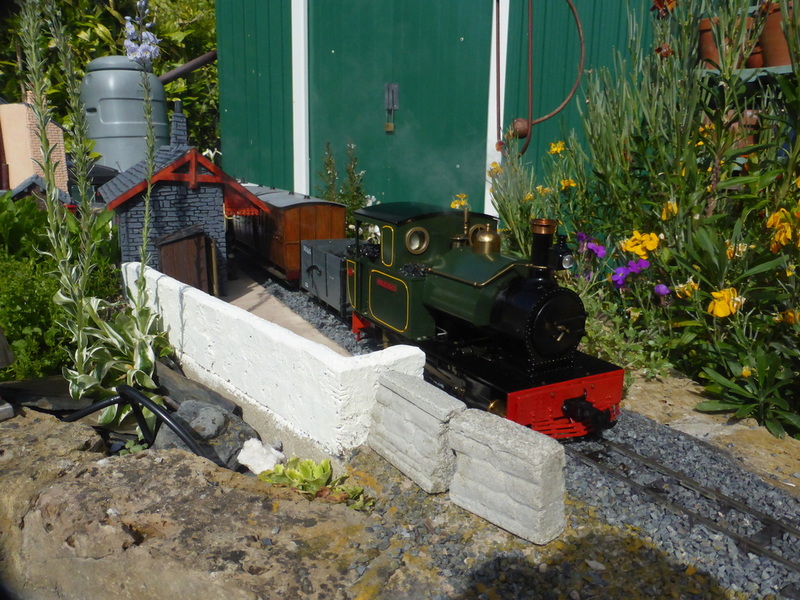 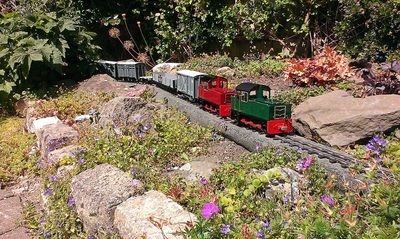 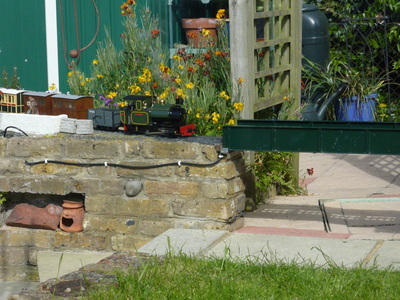 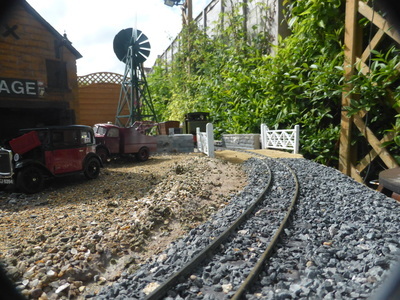 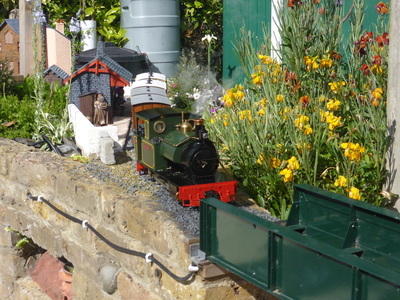 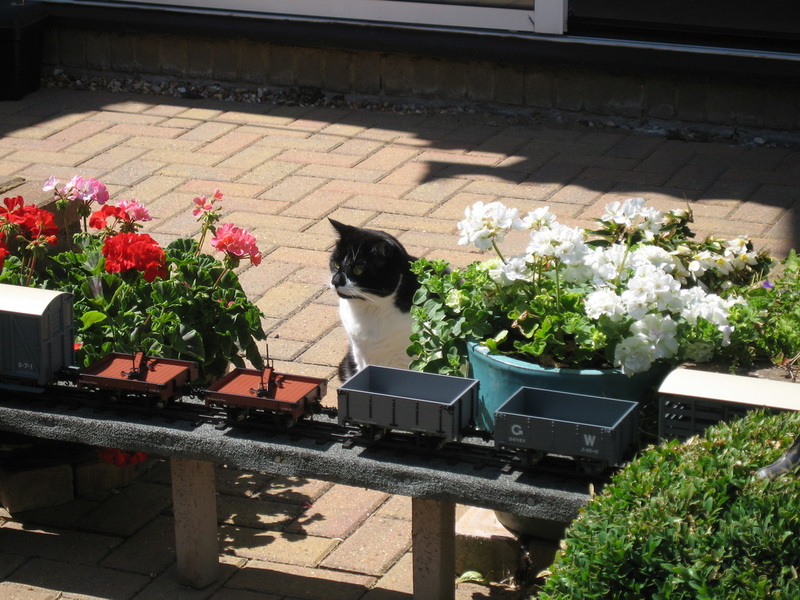 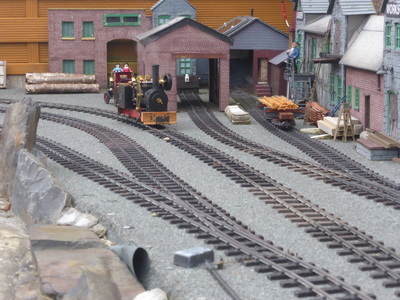 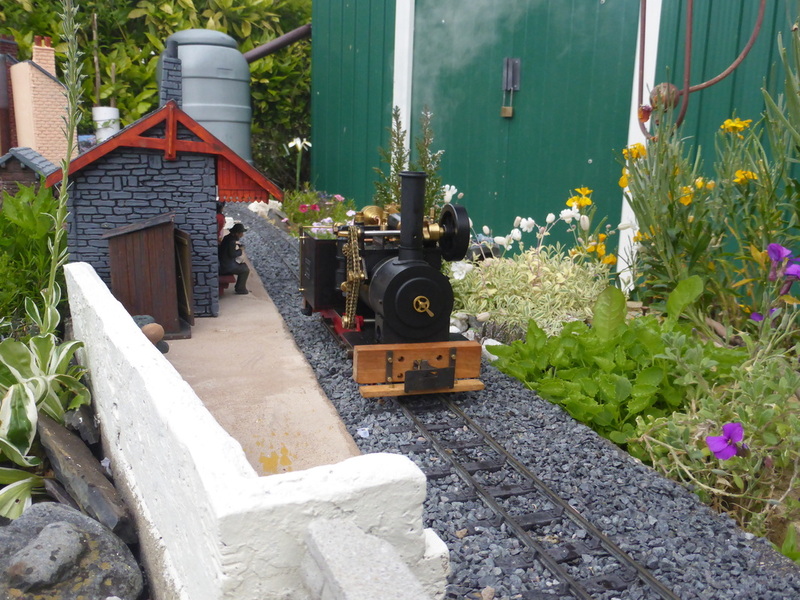 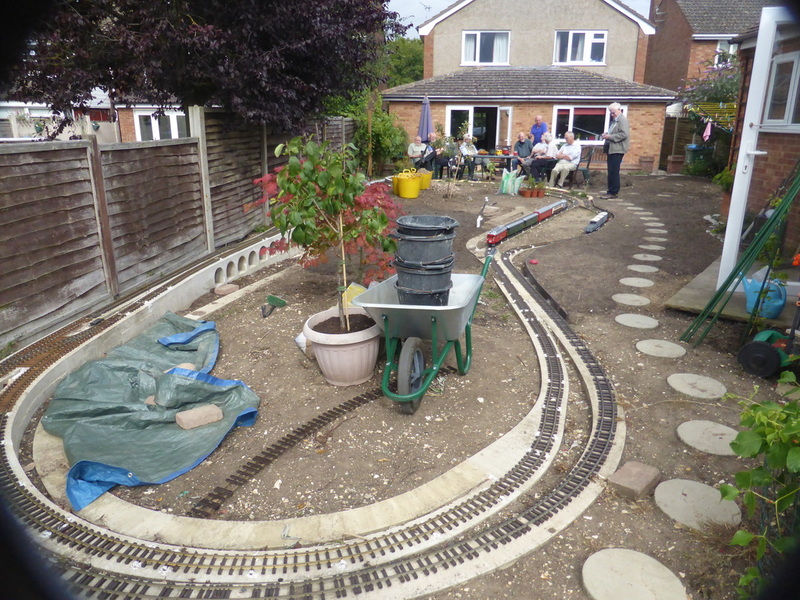 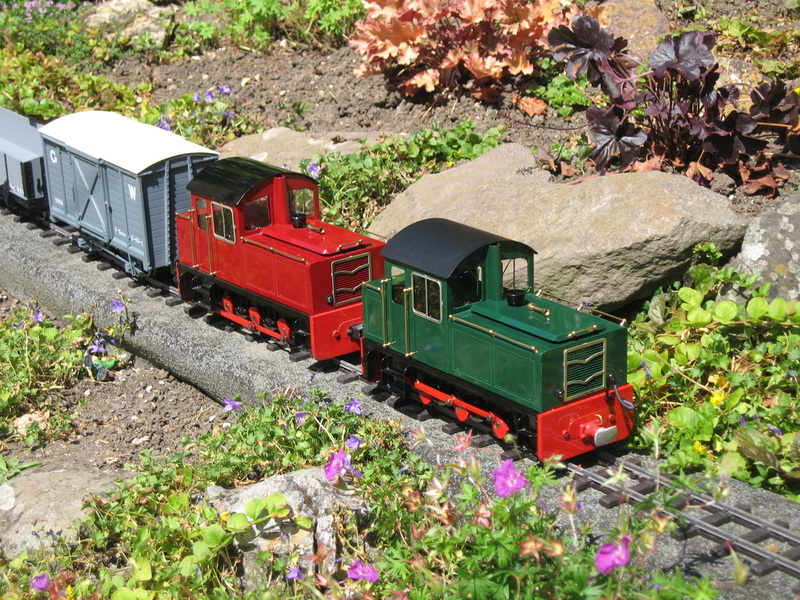 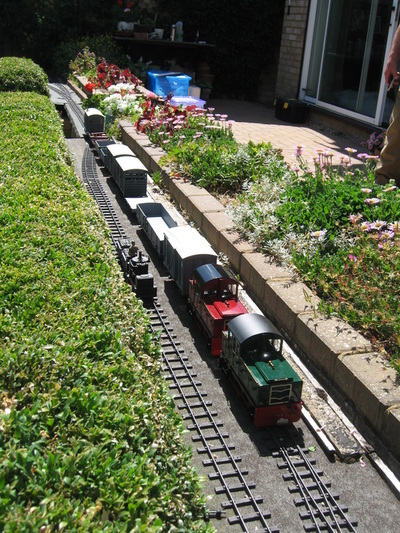 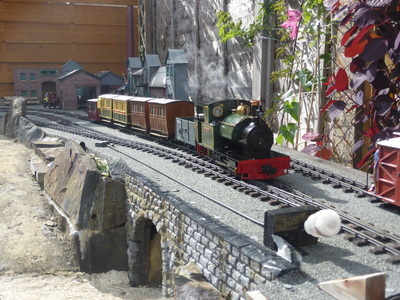 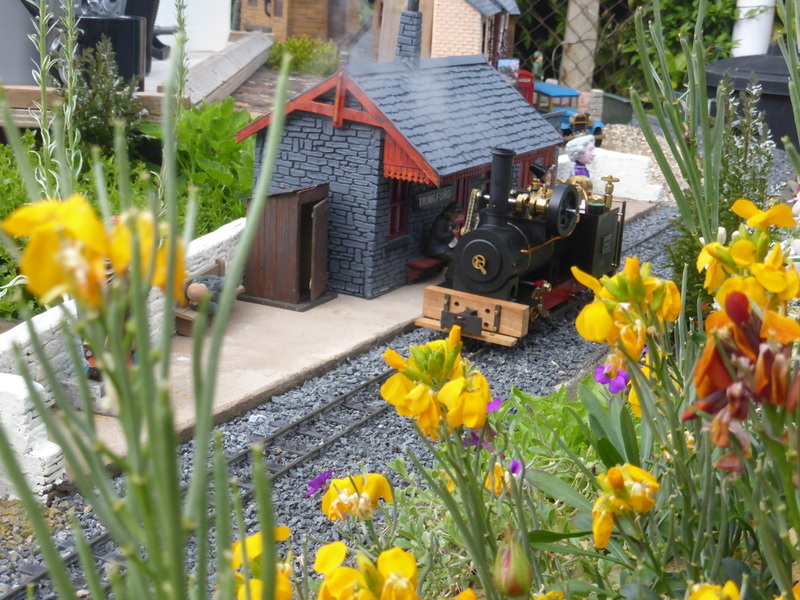 We have held meetings monthly since then, some indoors and others operating* member’s garden railways. Each Christmas has seen us at one local hostelry or another for our festive season lunch. 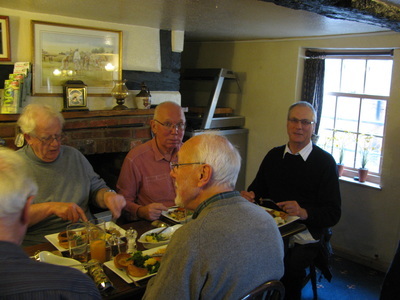 Group membership now numbers 11, including 6 of the original 7. Discussion at our meetings is often very lively and can range over a very wide spectrum [sometimes even about railways!]. We are pleased to have been able to encourage members to progress their modelling efforts with advice, opinion and information. 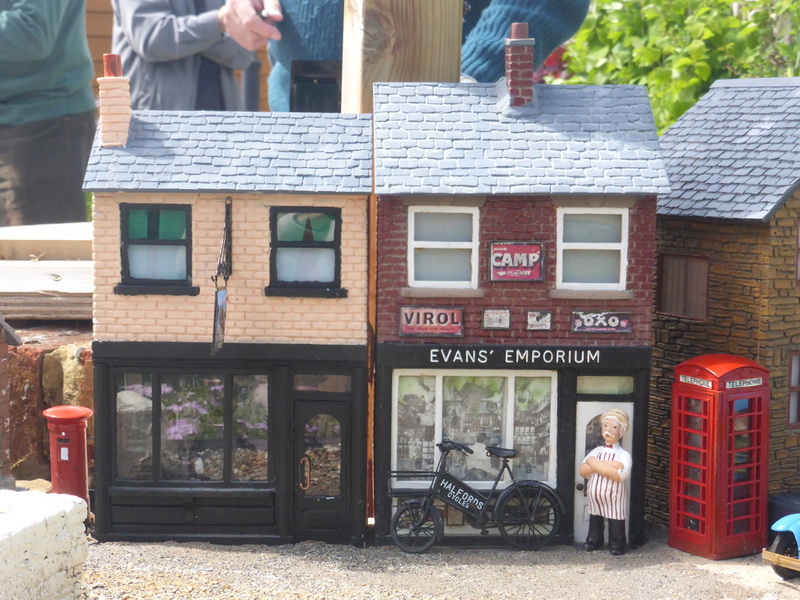 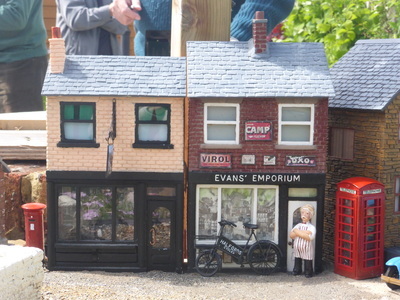 There are now more model railways in Aston Clinton than existed before 2010! * – please note that we operate our model railways, never “play”! 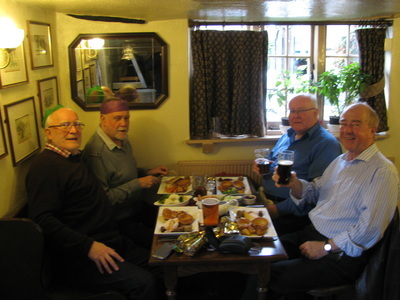 We had a most enjoyable Christmas lunch at the Half Moon pub at Wilstone. 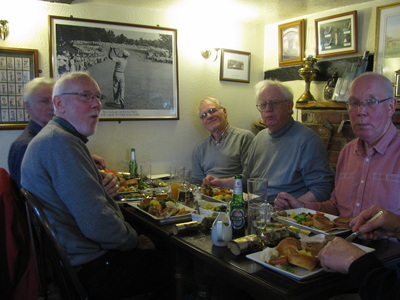 The group has grown during the year so we only just managed to squeeze into the pub's side room where there is peace and quiet away from the main bar. In summary - a very successful year - and many thanks to Geoff for organising the group!